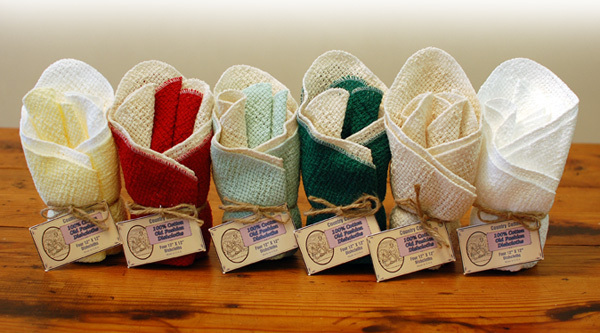 100% Cotton Old Fashion Dishcloths have been used in school, church, and non-profit organization fundraisers for several years. We are proud that this product is made in the U.S.A., in the state of North Carolina. These dishcloths are woven and are similar to the dishcloths that were crocheted years ago. Our customers compliment the usefulness of the dishcloths in the kitchen. They are very durable and they make wonderful gifts for any occasion. Students at local schools have been able to help fund their field trips by selling this product. Churches have used this product to help fund various projects in their communities. One school sold Country Cottons, LLC® dishcloths for two months and profited $8,000 for their 8th grade field trip. If your organization is interested in selling our dishcloths for your next fundraiser, please call: 704-888-4216 or email petetonihogan@aol.com. Please include your contact information and details about your fundraiser project.